Justin Sullivan/Getty ImagesGoogle CEO Sundar Pichai. The CEO of China’s second biggest search engine, Sogou, has said the company could help Google with its return to China. Sogou CEO Wang Xiaochuan told the MIT Technology Review that the company could act as a middle-man between Google and the Chinese government. Google’s confirmed Project Dragonfly for the first time last week, but the plans remain deeply divisive. Google has been offered help from an unlikely source in its controversial bid to return to China. Sogou’s CEO Wang Xiaochuan told the MIT Technology Review that the company could help Google navigate governmental regulation. Google left the Chinese market in 2010 after it discovered a coordinated cyber attack targeting human rights activists. At the time Google stated that it would no longer continue to allow censorship on its search engine. 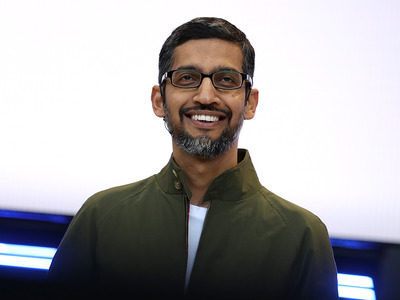 But The Intercept reported in August that CEO Sundar Pichai was angling for a return to the Chinese market with a censored version of its search engine. Sogou is China’s second largest search engine, behind Baidu. Contrary to seeing Google’s return as increased competition, Wang said Sogou could act as the middle-man between Google and the Chinese government. “One way would be for Sogou to operate the brand, and Google provide the technologies. If it considers working with Sogou, it would probably achieve better success,” Wang added. Wang said Google may have the tech, but does not have the market smarts. “In terms of general technology capabilities, Google is still very strong, [but] in terms of Chinese search functions, the quality of Google has probably fallen behind,” he said. Google’s China plans, which it confirmed for the first time last week, have stirred contention both internally and externally. A former Google scientist last week penned a letter to US senators saying that Google management is “clamping down” on whistleblowers trying to lift the lid on Project Dragonfly details. Business Insider contacted Google for comment.